In 2015, the Portland Continuing Education Committee, the Continuing Education Committee chair, and the Director of Student and Professional Development worked closely to develop a menu of CE classes for the 2015 Annual Meeting. Member survey results were used to identify general topics for the Annual Meeting as well as for a series of three webinars. Experts presented 9 CE courses, totaling 59 hours with 252 attendees. 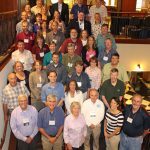 In addition to the Annual Meeting in Portland, AFS hosted a “Planning & Executing Successful Rotenone & Antimycin Projects” course in Logan, Utah, that was attended by 18 fisheries professionals. 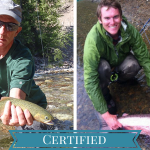 Looking beyond 2015, the Continuing Education team is developing a portfolio of education opportunities that offers both in-person and distance learning to meet members’ professional development needs year-round, including live and asynchronous online courses to accommodate the varying schedules of fisheries professionals.